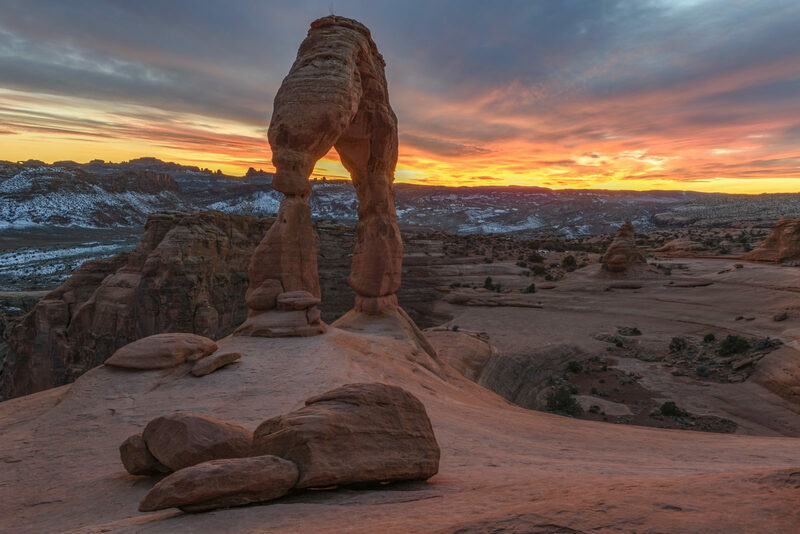 It is the most widely recognized landmark in Arches National Park (not to mention the entire U.S. National Park system) and is depicted on Utah license plates. One of the most beautiful desert sunsets I have ever seen! The colors in the sky just kept getting better and better with reflected light bouncing all around the sandstone of Delicate Arch.